Listing of interesting places to the family. Hoelscher Haus – located in La Grange, TX on the grounds of the Texas Czech Heritage and Cultural Center, Inc. It houses the Polka Lovers Club of Texas Museum. In 2005 Esther and Henry Hoelscher donated the home to the museum. The home was built by Anton Hoelscher Jr.
Anton Hoelscher Sr Historical Marker – Directions to Gravesite: From Ellinger on FM 2503 about 6 miles turn left on Wechecta Road, travel about 2 miles and Historical Marker will be on the right. Actual Grave Stone is on private property up the hill. 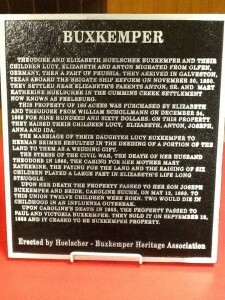 Elizabeth & Theodore Buxkemper Historical Marker – located at their homestead. The homestead is owned outside of the family. Anton Hoelscher Jr – homestead of Anton Hoelscher Jr is owned by descendants of Anton Jr, the Henry Hoelscher family. They have preserved the orginial log cabin under a barn. Family sites in Germany – Olfen, German - much of the city was bombed in WWII, so much of the city as it was when the Hoelscher lived there is gone. 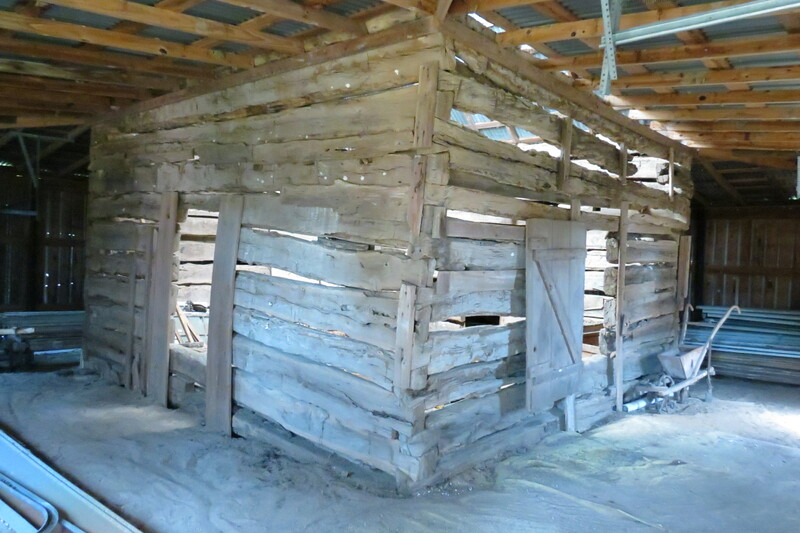 The Buxkemper home is still on the farm with some old barns. The farm and home of Elizabeth Bruse, wife of Anton Hoelsher Jr, is still a very active dairy farm owned by descendants of Elizabeth Bruse’s brother.